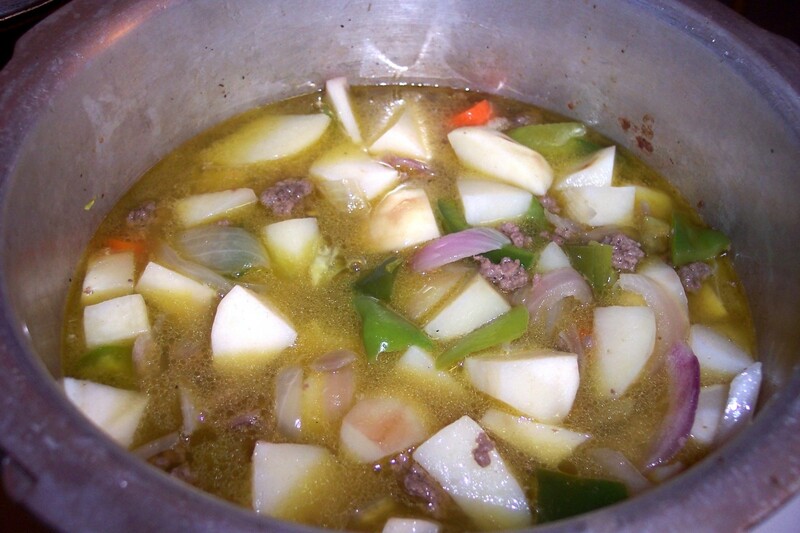 This Spanish Hamburger recipe handed down from my grandmother is at least 80-years-old. My mother, who is in her mid 70s, remembers being fed these delicious and exceedingly simple Spanish Hamburgers as a little girl. 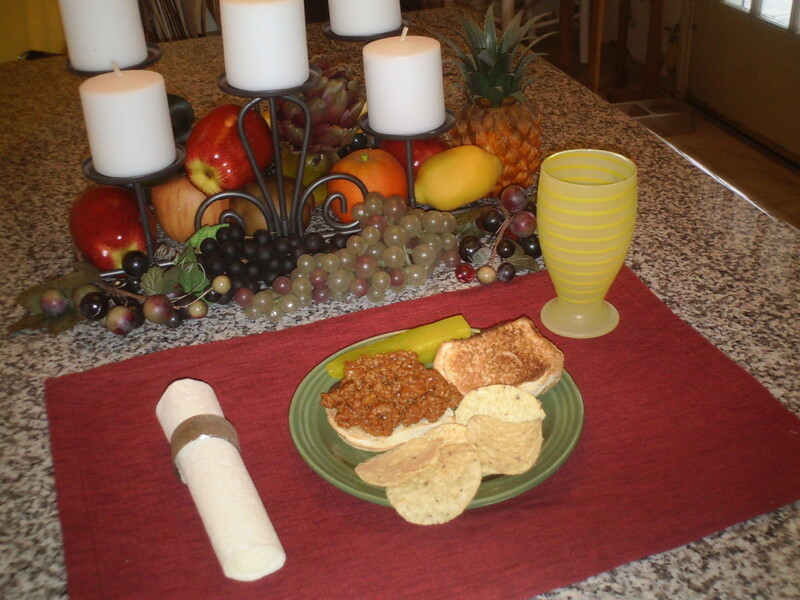 I also was fed these Sloppy Joes as a child, and still make them to this day. The ingredients for this surprisingly delicious recipe are found in almost every American home. 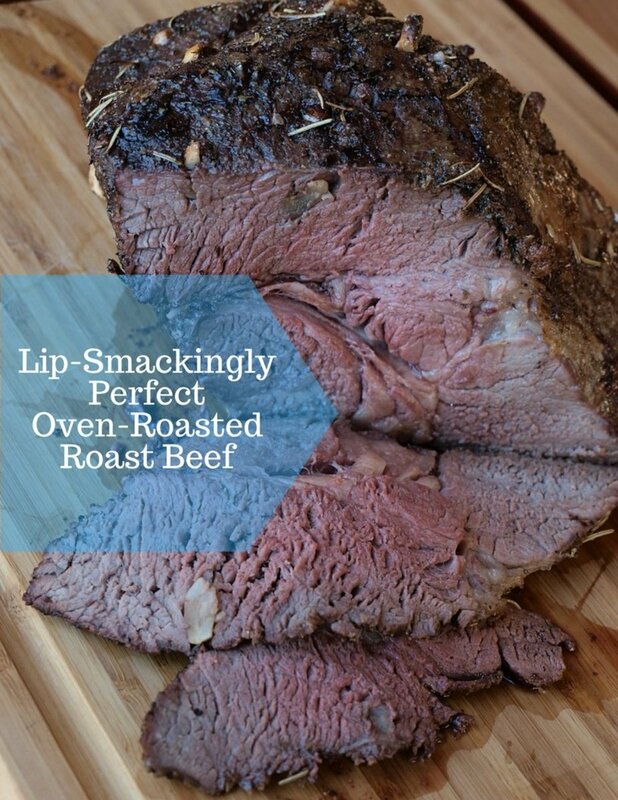 That combined with the fast prep and cook time makes this recipe a fantastic "busy day" recipe. The cook of a family with a crowded schedule will appreciate the readily available ingredients and the "Under 30 Minutes" time frame to a hearty meal loved by adults and children alike. Although the true name of this heirloom recipe is "Spanish Hamburgers," other areas of the country may know them by the name "Sloppy Joes." This recipe originates from my Grandma, who lived in Wisconsin. When I was a little girl, my mother told me Sloppy Joes were called Spanish Hamburgers in the North. I don't know if that's the case, but regardless what you call this recipe, its everyday ingredients somehow transform into a delicious family meal. Spanish Hamburgers are also exceedingly kid friendly. With ingredients that appeal to a child's more sensitive palate, Spanish Hamburgers make the decision on what to cook to please all the family members a snap. This versatile dish can also be updated and changed to appeal to personal tastes. Lightly toast hamburger buns if so desired. 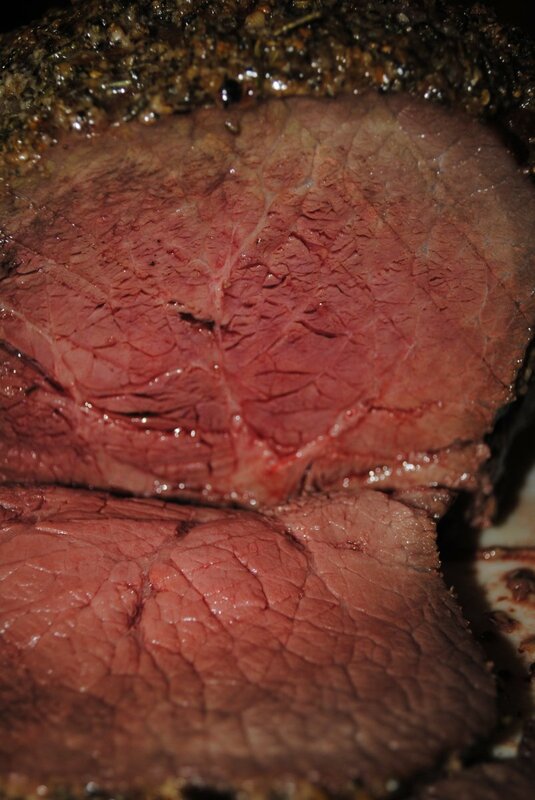 After 20 minutes, taste the meat mixture. Add in more chili powder and salt if needed. 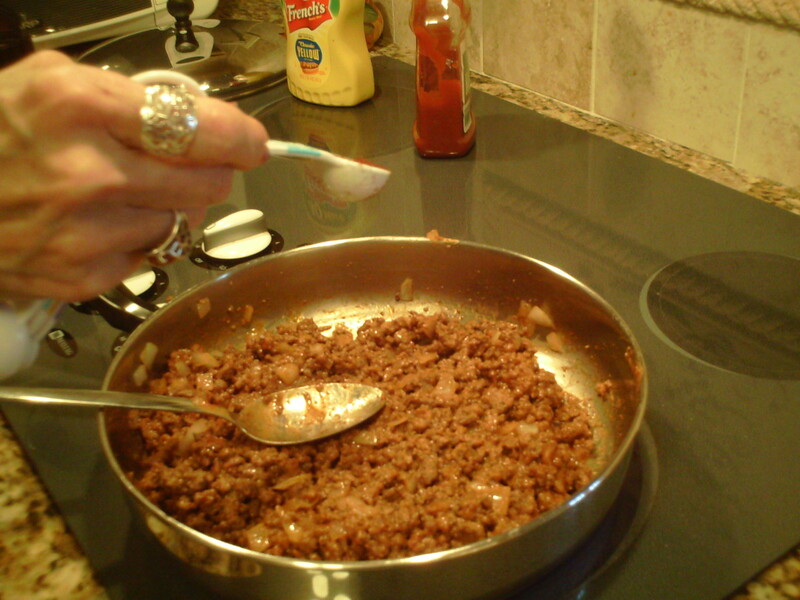 Spoon meat onto the hamburger bun and serve! The below nutrition label was created using an on-line recipe calculator. 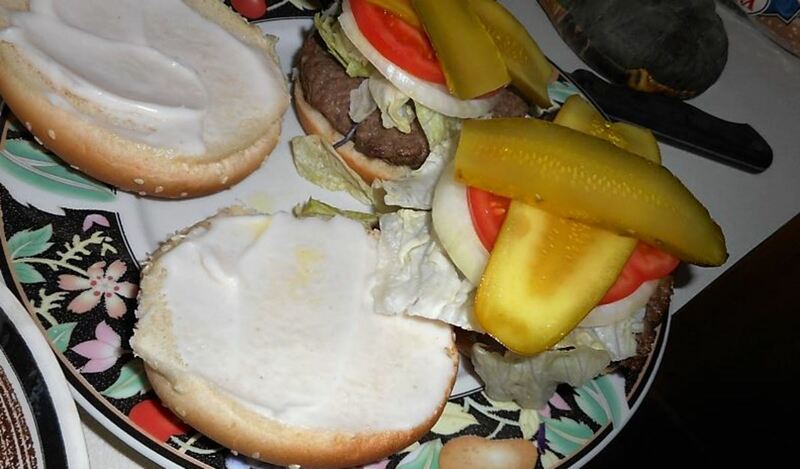 The hamburger buns were included in the nutritional calculations. The sodium content can be lowered by eliminating salt from the recipe and using low salt ketchup. Remember that any additions or subtractions to this basic recipe will change the nutritional information. If you wish to see the nutritional information for your variations to this Spanish Hamburger recipe, Google "recipe calculator," pick a website with a calculator, and insert the ingredients. This basic recipe is over 80-years-old. It uses ingredients that were common in those days, but this recipe is also extremely versatile. You can update it to fit your taste by adding one or more more "modern" ingredients. Some ideas include adding peppers and chilies of any kind to give the recipe more of a peppery kick. I don't like eating a pepper, but I do love the flavor cooked peppers give to a dish. 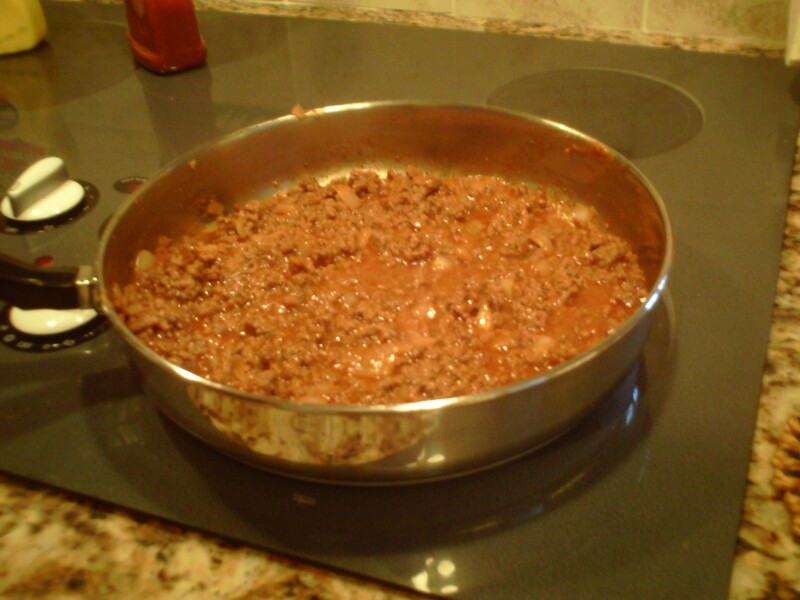 Often when cooking Sloppy Joes, I will add in huge chunks of Anaheim or jalapeno peppers and remove them after cooking. Then I get the delicious flavor the cooked pepper imparts to the meat without having to eat the peppers themselves. 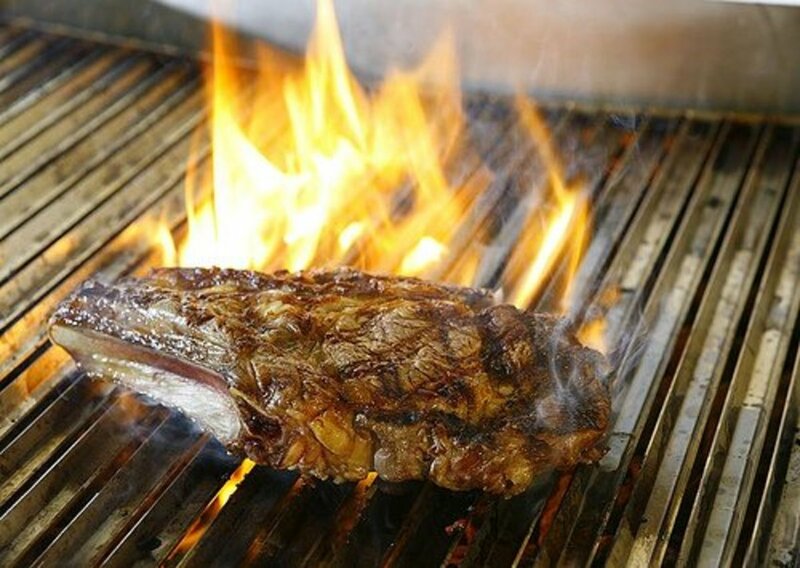 Another option is to give more heat to the meat mixture by adding in a very small amount of cayenne pepper spice or hot sauce. 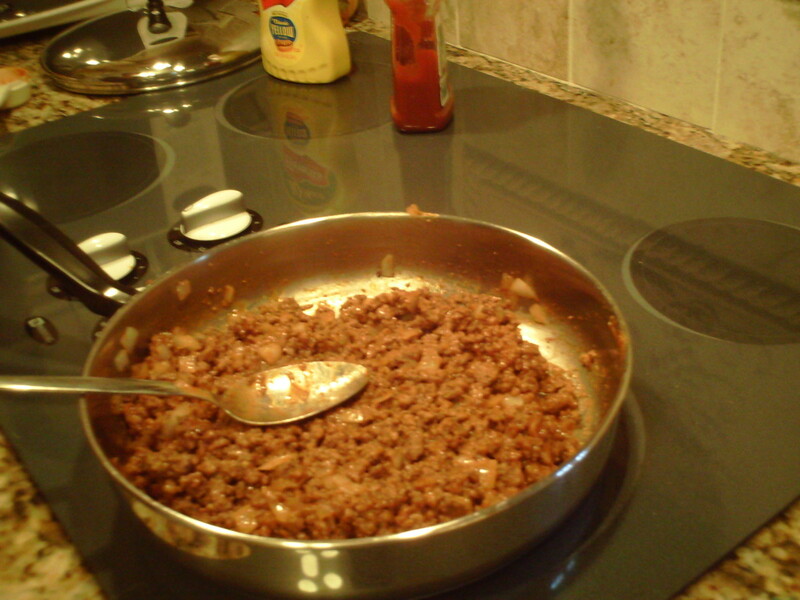 Beans can also be added to the meat mixture, although more ketchup, mustard, water, and chili powder will also need to be added for the extra mass. 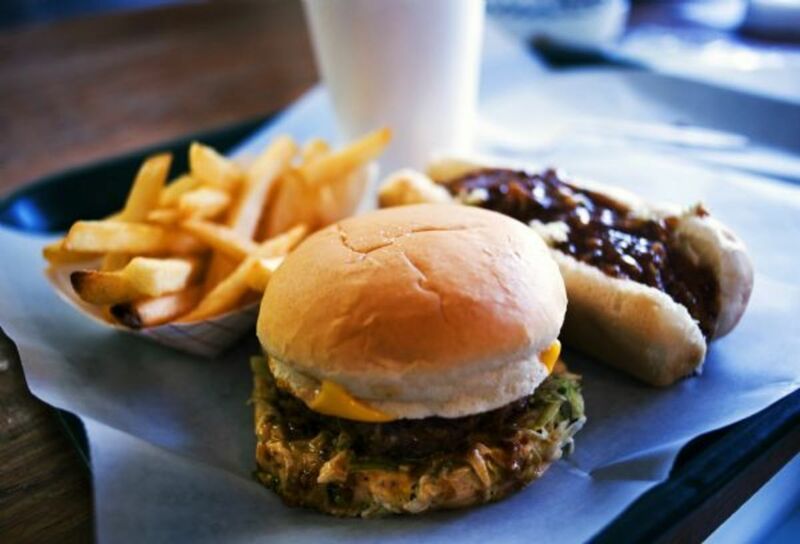 For cheese lovers, the addition of cheese such as extra sharp cheddar, Monterey Jack, plain old American or even gourmet cheeses can add creamy goodness to your burger. When my mother makes this recipe, she doesn't measure anything. It is all done to taste. Feel free to adjust this recipe to your tastes as well, adding more or less of any of the listed ingredients. Do be careful of adding too much water. 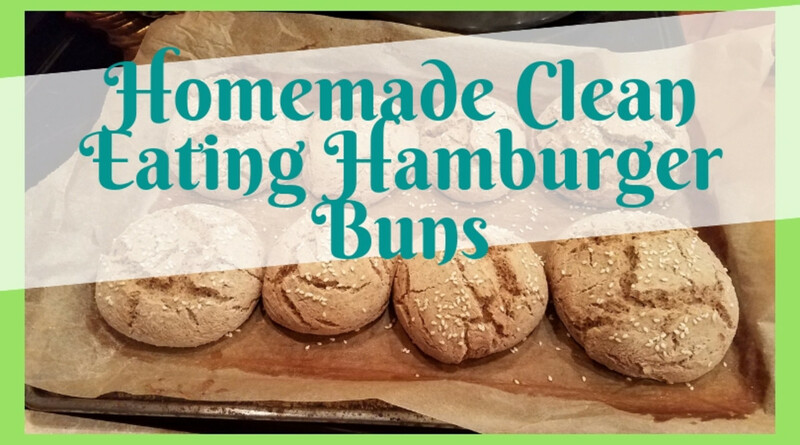 The final result should not be a watery, runny meat mixture, but a firm mixture that doesn't cause the hamburger bun to get soggy. If the mixture is too watery, just continue to simmer it till the water cooks off and the mixture reaches the desired consistency. Aside from the above ideas, feel free to get creative with this dish by adding your own modern twist to this really old classic. Don't be scared. Experiment with your favorite ingredients! What do you call this type of sandwich: A Spanish Hamburger or a Sloppy Joe? Take your family back in time with this almost century old recipe. This kid-friendly meal is easy for the harried cook, and yet it also harkens back to a time before most of us can remember. With ingredients easily found in any pantry today, it will only take minutes to zoom back to the 1930s. With this recipe, your family will be eating history! Hot Dogs vs. Hamburgers: Which Is More American? I grew up near Madison and we never even knew the term Sloppy Joes. They were Spanish Hamburgers until I moved to another state and no one knew what I was talking about. I also am a no measure kind of cook. I open the frig to see what I have in there and call it dump and pour cooking! That's great! I have memories fishing with my Grandpa on Lake Winnebago too. Neenah was a wonderful place to visit my grandparents over summer vacation. They owned a plot of land on the west edge of town and grew Christmas trees. They were just north of a gravel company in the 1970s. I can't come up with the road's name at the moment. Their property backed up to the interstate though. I understand now it's a parking lot. From Neenah, Wi. (South Commercial near Lake Winnebago). Loved fishing on Lake Winnebago for pike and perch with my dad. The Spanish Hamburerbrought back memories. So much so, I made some for lunch. 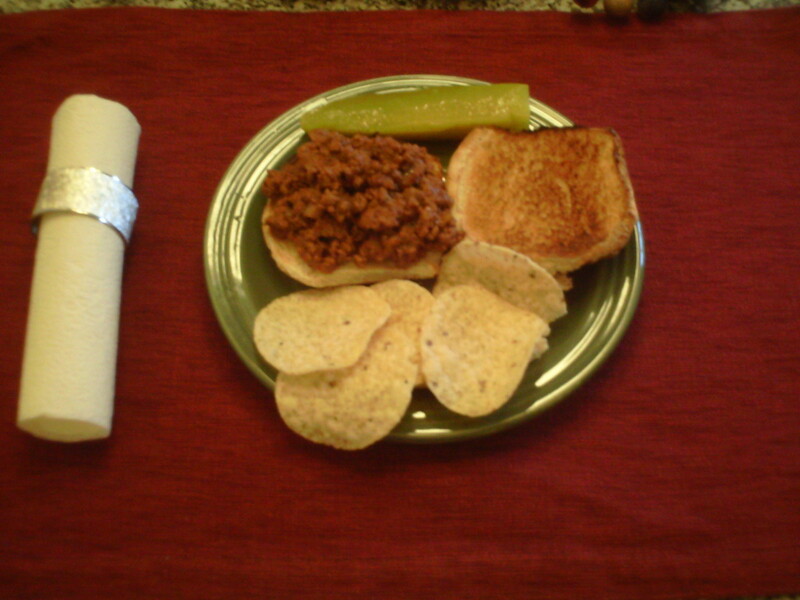 I made sloppy joes for the first time a few months back. They were too runny so I had to drain them. I'll try this recipe next time. Thanks for sharing your grandmothers recipe. They would think you were nuts!! I find it odd even calling them "Sloppy Joes" because they are so different from the Sloppy Joes I grew up eating. 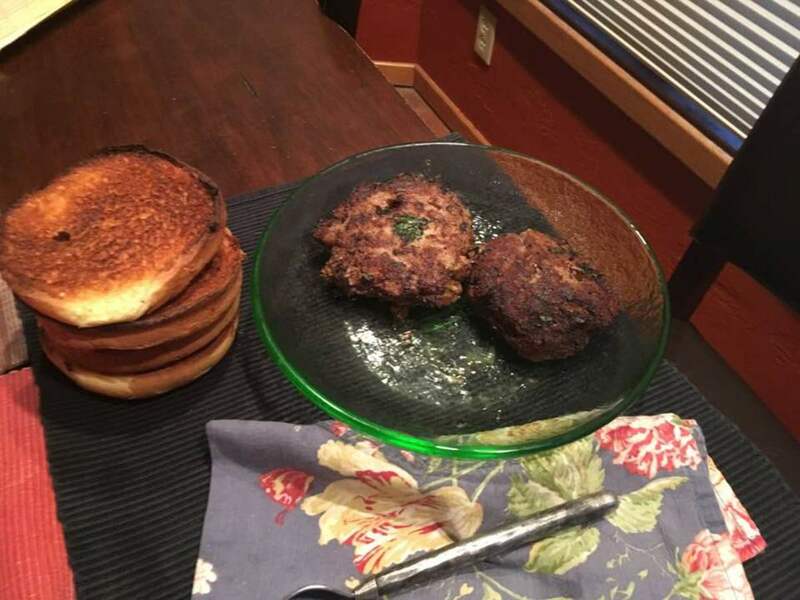 To me, these are "Spanish Hamburgers," but whatever you call them, it is a great, heirloom recipe. This and the Grandma's chili recipes both came from Wisconsin (the Neenah area to be exact), so both are very near where you grew up. Thanks again for dropping by and sharing your memories of this recipe!! Another Nort' recipe! Same as the chili/noodle, one from the past. This was also similar to growing up in NE NoDak. Back then, they were just called barbeques. Nothing like a few Old Dutch potato chips crunched inside the bun along with it! Now in TX, if I served this to company telling them we were having barbeque, they think I was nuts! Thank you janshares for dropping by, voting, reading and commenting!!! I love reading and trying very old heirloom recipes to see what dishes people ate 100 years ago or so. When researching SEO on this one, I didn't see any Sloppy Joe recipe older than this. I wish I knew where my grandmother got it from. Hi agilitymach. Thanks for the invite. I love this hub, very well done and useful. It brought back good memories of eating sloppy joes. In fact, your recipe makes me want to make some soon. I love the personal touch and honoring of your grandmother. It makes this recipe hub very special and interesting. I write my recipe hubs the same way. Great hub, voted up, useful, and awesome. You're welcome anytime. You are a tribute to your talent. Love your writing style. You are at home on HubPages. Hey, I didn't lie. I came. I read. I loved this hub. Very good, and very well presented. Voted up and all the way. Thanks FullOfLoveSites!! I think because it's such an old recipe it is very, very different. To me it very much has a feel of an antique recipe. Thanks for dropping by! I've been to Appleton several times as my uncle used to live there. Wisconsin is a beautiful state. I spent part of each summer there when I was a little girl. 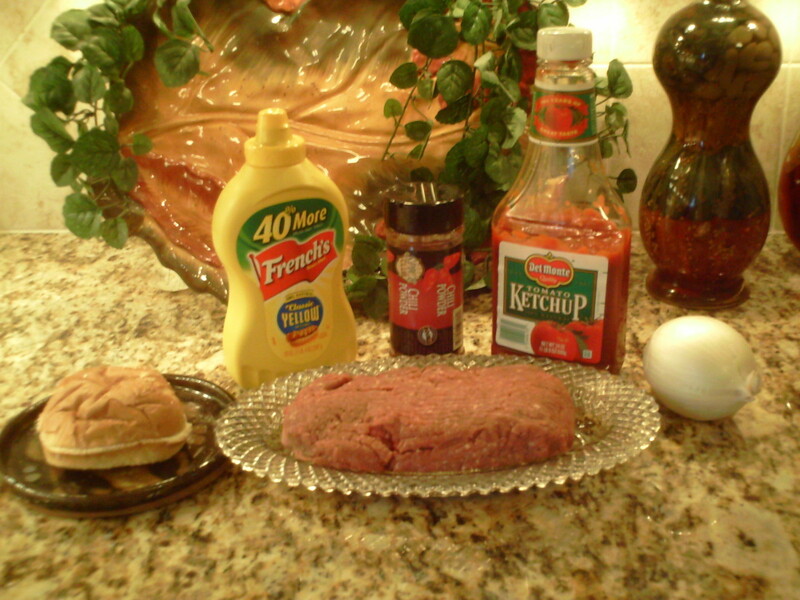 :) Come to think of it, I'm pretty sure my Grandma made us these Spanish Hamburgers when we were there in the summers! Wow, I know Neenah, WI. However, I was born in Milwaukee, WI. Later moved to Appleton, and lived in Kimberly, WI too. Much nearer to Neenah than Milwaukee. Must be a regional thing. Interesting. I will definitely let you know when we try this out, what we do and how we like it! That's interesting that you're from Wisconsin and haven't heard them called "Spanish Hamburgers." Perhaps it isn't regional. My mom grew up in Neenah, WI. I had always believed it was a "Northern" thing, but apparently not. :) Thanks for dropping by!! If you do please stop back by and let me know what you thought!! If you "modernize" it, let me know what you added too. This recipe may be older than 80 years, and I like to think of people eating the same thing all those years ago. Sloppy Joes must have been a new concept back then. :) Thanks for dropping by, and I hope your family enjoys the recipe. With such simple ingredients, this recipe looks like it's going to be a super quick and easy dinner! It's kind of funny, we were just talking about doing Sloppy Joes just the other night, but we were going to buy a mix from the store! So glad that you shared this family recipe, I can't wait to try it out! I do love sloppy joes. I will have to try your recipe though, instead of using a sloppy joe mix. I am from Wisconsin and never heard them called Spanish Hamburgers. Hardly matters, they are a great dish. Funny how grandmas and moms never seem to measure their ingredients and their recipes always taste so wonderful.